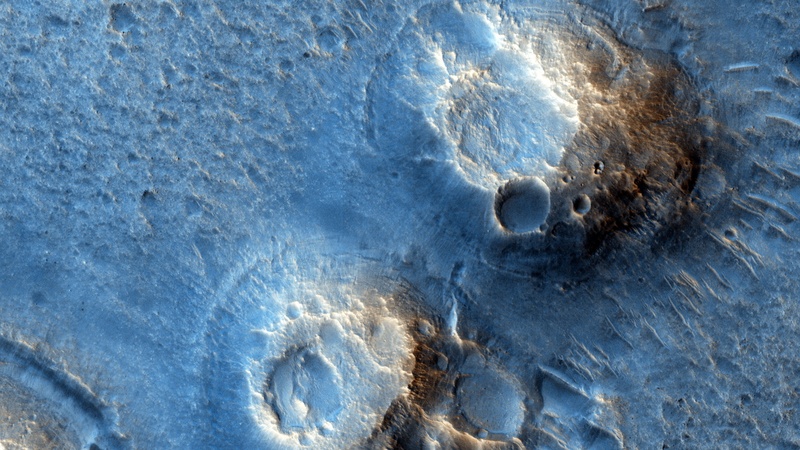 In "The Martian" by Andy Weir (watch for the movie in late 2015), stranded astronaut Mark Watney spends most of his time at the "Ares 3" site in southern Acidalia Planitia. The book describes Acidalia as flat and easy to drive over; he even drives to the Pathfinder landing site and back. 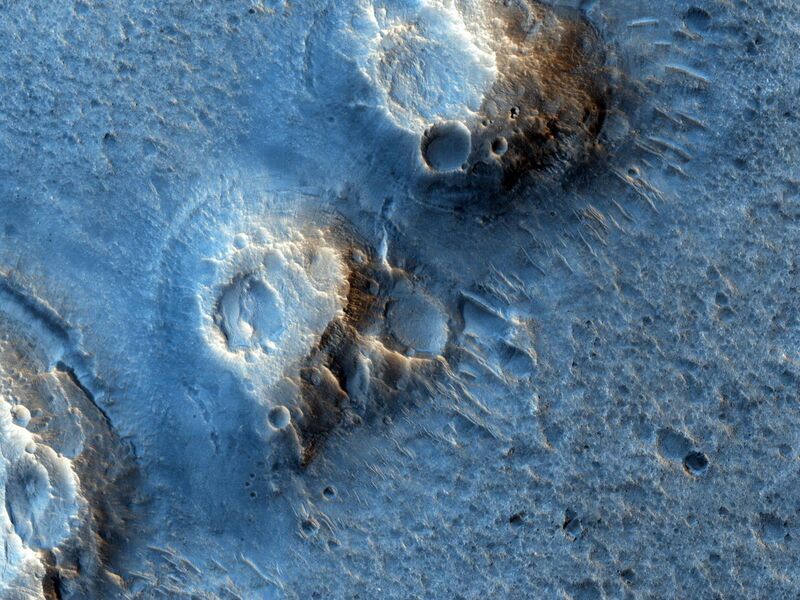 This region of Mars is actually far more diverse, interesting, and hazardous to drive over than depicted in the novel. These two images (this observation and ESP_019783_2115) are close to the Ares 3 landing site as shown in a map at the front of the novel, and shows many mounds, perhaps ancient volcanoes resulting from lava-water interaction or eruption of muddy sediments. 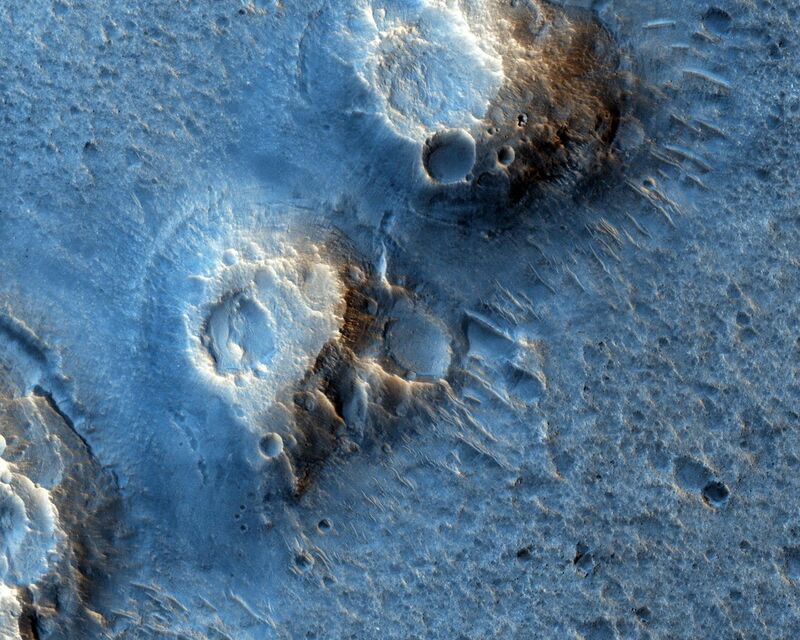 Much of Acidalia Planitia is covered by dense fields of boulders up to several meters high that would be difficult to drive around. There are also fissures associated with giant polygons, with steep rocky slopes that would be impassable. There are elongated fields of dense secondary craters where the surface is extremely rough at scales near the size of the rover. When our hero travels into Arabia Terra it is described as much rockier than Acidalia, but the opposite is generally true: much of Arabia is dust mantled and smooth at the scale of a rover. People commonly assume that smooth at large scales (kilometers) means smooth at small scales ( meters to tens of meters). 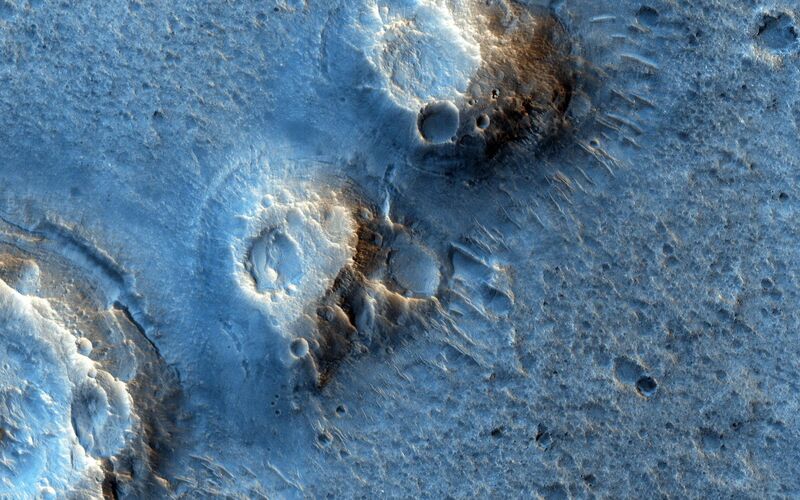 Often on Mars, the exact opposite is seen: large flat low areas are more wind-scoured, removing fine materials and leaving rocks and eroded bedrock.